R. C. Durr, a native of Kenton County, Kentucky, grew from humble beginnings to become one of the most respected and loved civic and business leaders in the Commonwealth of Kentucky. His hard work, perseverance and kindness to all who met him are qualities that will forever be remembered. His generosity to civic and charitable causes and particularly to persons in need were legendary during his lifetime. 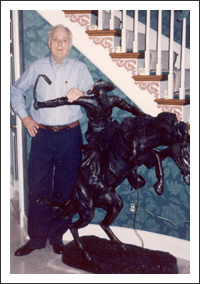 His endowment in death of The R. C. Durr Foundation, Inc. perpetuates his legacy. R.C. Durr was born in Atwood, Kentucky in Kenton County on May 14, 1919. He was raised on a farm where he developed a love for and life-long interest in “the land.” Attending school in Kenton County, he graduated in the last class of Independence High School where he enjoyed playing basketball. As a graduation gift, his aunt gave him $500 to attend college in Georgetown, but he used the money to purchase a truck and went to work. He started his company with one dump truck and one loader just as World War II was coming to an end. He was the successful bidder on his first highway project in 1949, when bids for construction were taken by the mile. This project was known as “the Frogtown Road” in Boone County. Subsequently, the R.C. Durr Company became one of Kentucky’s largest, most successful heavy construction and highway contractors. The company was responsible for the construction of some of the state’s largest railroad, interstate and parkway projects. In 1961, the R.C. Durr Company was awarded the initial contract for construction of a segment of the Eastern Kentucky Turnpike (Mountain Parkway). The Durr Company constructed at least 300 miles of highways as well as some of the largest railroad projects in Kentucky. R. C. Durr also operated a successful coal mining operation in Eastern Kentucky for 10 years and was a horse and cattle farmer. As one of the construction industry’s visionaries, R. C. Durr could claim many “firsts”: He built one of the first modern gravel plants in Northern Kentucky. His company was among the first to own and operate a Caterpillar 641 motor scraper and a Caterpillar 835 compactor. He acquired Eaton Asphalt Company in 1964 and quickly established it as Northern Kentucky’s largest asphalt paving construction company. R. C. Durr served on the board of directors of Covington Trust and Banking Company, was one of the founders of Boone State Bank, continued to serve on the board after it was acquired by Fifth Third Bank, and then helped found The Bank of Kentucky where he served as Chairman. Governor John Y. Brown, Jr. appointed him to serve on the Kentucky State Racing Commission in 1980 and he served through several governors’ terms until 1992. He was President of the Kentucky Association of Highway Contractors, President of the Kentucky Chapter of the American Road Builders Association and President of the Kentucky Highway Division of the Associated General Contractors of America. 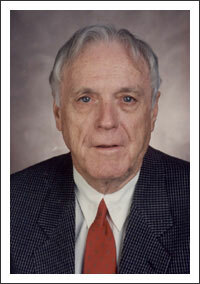 He served on the Northern Kentucky University Foundation board and helped found the Northern Kentucky Industrial Park. He received the Northern Kentucky Chamber of Commerce Frontiersman Award in 1994 and the University of Kentucky Construction Management Founders Society Lifetime Achievement Award in 1993 and was recognized by numerous educational and social service agencies for his steadfast generosity. He never got away from his love of the land. He built cattle farms and horse farms and spent his later years on a thoroughbred horse farm in Richwood, Kentucky. He loved horse-racing and mowing his own pastures with his John Deere tractor. He was married for 47 years to the former Katherine Ballinger who died in 1992. On his death in May, 2007, he was survived by his second wife, Deborah Jo Durr, a brother, William Durr, and nieces and nephews. No one who knew him could disagree about his love and concern for other people. His friends knew him as a man of integrity, good humor and great common sense. He loved people, was good to his fellow man, had compassion for those less fortunate – and he shared his good fortune with a generous heart. There are few charitable organizations in Northern Kentucky that did not benefit from his generosity. Upon his death, he endowed The R.C. Durr Foundation, Inc. for charitable giving in perpetuity in Northern Kentucky.